Being mindful can take work, but it’s well worth it. In addition to meditating and reflecting on your actions, being mindful means understanding how you’re feeling, how your emotions are affecting you, and how to separate yourself from your emotions. Anger can be misguided, and what you be feeling may not even be anger, but fear or sadness instead. 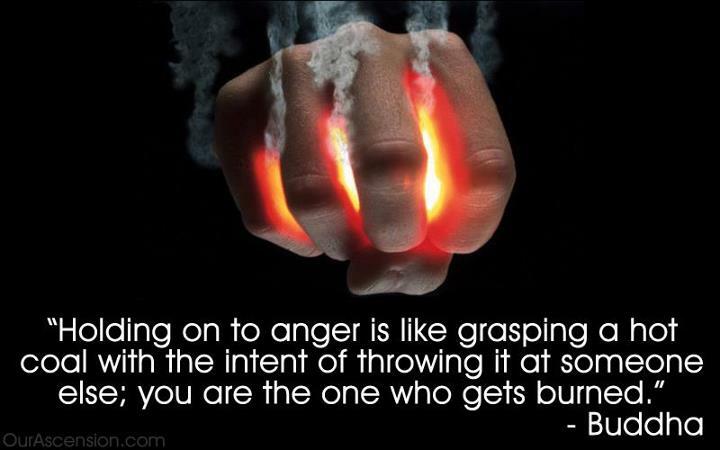 If there are unresolved issues in your life, they may be fettering and presenting themselves as anger. If you have a quick temper, could it be because you’re not allowing all that energy to flow out of you in another way? If so, consider taking some time to get your adrenaline up in another manner – like going for a crazy hike or hitting the slopes. If you’re a thrill seeker by nature, your anger may just be because you’re not being stimulated.